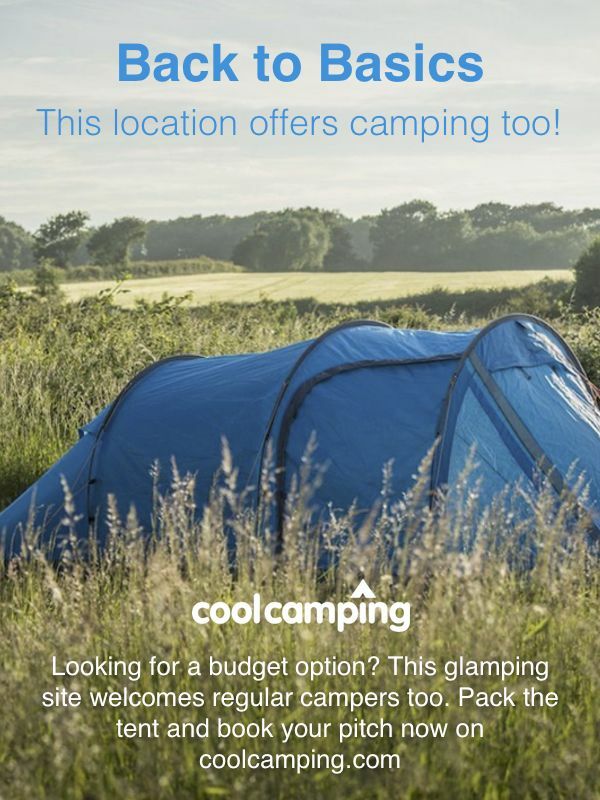 For latest availability and best prices for Wild Camping Cornwall, please use the Date Search above. There are 3 compost toilets, 2 gas-powered showers, a covered dining area for bad weather and sinks with mains drinking water that can be also used for washing. No electricity. 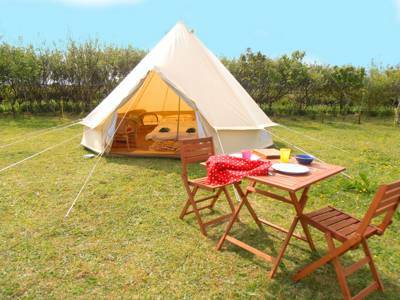 Each pitch, bell tent and gypsy caravan has an assigned fire pit. 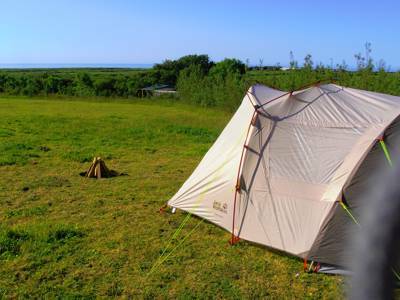 Bell tents feature a double bed (bedding and linen provided; extra beds can be added if needed), soft furnishings and a wood-burning stove. 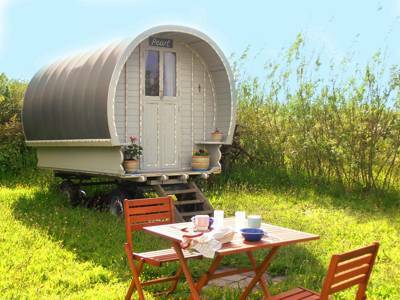 The gypsy caravan has a built in bed (for 2 people) and also has its own exclusive kitchen area, with all necessary equipment. Local outdoor education company Future Tracks runs weekly bushcraft and traditional archery sessions. Contact the campsite for a full list of workshops available this summer. The beaches are the most obvious attraction. It's a ½-mile walk to sandy Portheras Cove. As you arrive the footpath links up with the South West Coast Path and, from here, it's easy to follow the trail much further afield too. Boat Cove, a little further west, is a tucked into a tiny inlet between Pendeen Lighthouse and Portheras Cove and makes for a pleasant diversion. The stroll also offers the chance to look east up the coast towards Gurnards Head and Zennor. Elsewhere, it's a ½-hour drive to the galleries of St Ives, a ½-hour to Lands End and a ½-hour from St Michaels Mount. Directly above the campsite, meanwhile, lies the moorland where Chun Quoit, Men-An-Tol and several stone circles can be discovered. Be sure to enjoy soak in the views while you're there. Stroll the 500 metres to the café at Morvah Schoolhouse Art Gallery (01736 787808) or hop in the car to find the nearest pub. It's 3 miles to The Gurnards Head (01736 796928) in Zennor and The Tinners Arms (01736 796927) is just beyond in the same village. It's around the same distance, in the opposite direction, to St Just, which is the best places to go for groceries. There are several supermarkets and smaller shops, while Kegen Teg Café (01736 788562) makes for pleasant tea or lunch stop. There are plenty of pubs and restaurant on offer there too. Take the A30 through Penzance and turn right onto the A3071 to St Just. 1km after passing through the village of Newbridge turn right onto the B3318 to Pendeen. Follow this road all the way into Pendeen and turn right onto the B3306 signpost to St Ives. After 1km, on a sharp blind bend, take the farm track on your right through Kiegwin Farm. (Further round the same bend is the Yew Tree Gallery on your right). Follow this unmade farm track for 300m past Higher Kiegwin Farm until you see the “Wild Camping” sign directing you into the field on your left. Open the gate to the field and park just inside on the right. St Ives (0845 748 4950) is the closest railway station. From there buses stop at nearby Morvah (10 minutes walk); get the the First Kernow A3 or the number 7. 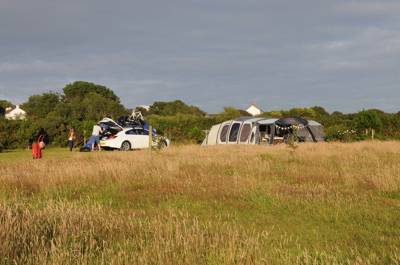 2 huge tent pitches (50m by 50m), 1 bell tent (again with lots of private space) and 1 gypsy caravan.